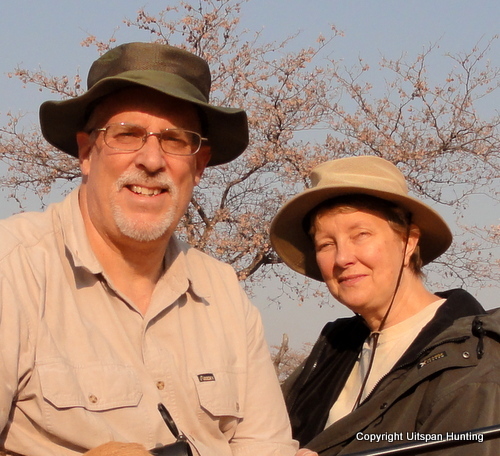 "Thank you for a wonderful time and an excellent safari. Your area is excellent for game - 4 gold medal trophies with 2 qualifying for Rowland Ward is something special and which I will never forget! Your hospitality, accommodations and cuisine were excellent and most appreciated. Finally - your friendship and kindness made my safari. The addition of Jaco and Adriaan, was truly 'icing on the cake'. ....'John, we must do the leopard crawl...(Michael)!" 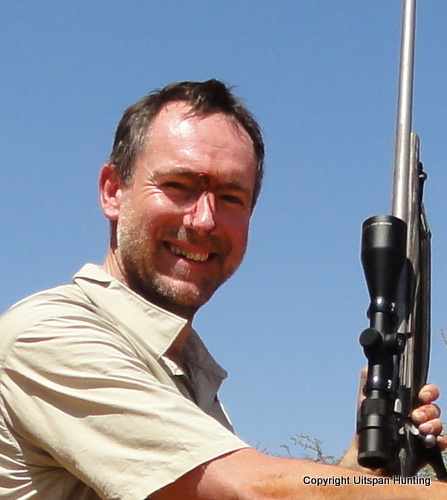 "As soon as we arrived I loved the scenery and wildlife, the hunts were incredible, but most of all, the people were fantastic. I appreciate your family and all of the great memories you helped me create. Many thanks." 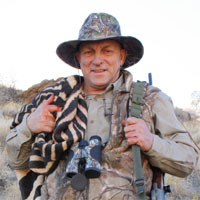 "Enjoyed the experience of hunting the Kalahari. Great animals and hospitality from the whole family. Will remember this forever." 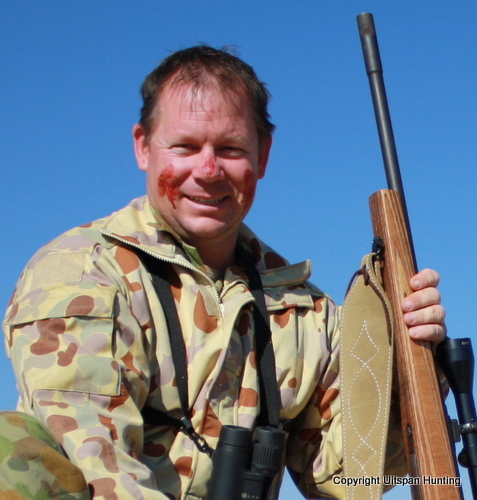 "Great hunt, great food, great people, grand experience. I don't know how it could have been better! Thank you!" "Had a great time! What a wonderful place to come and share the scenery and the animals. Thank you for your friendship and your patience with us. You have a great family." "If I had to describe my time here with one word, it would be 'wow'! As soon as I stepped onto your ranch I felt as if I was transported to another world. A world filled with exotic animals and strange vegetation. A very hot world. But the greatest part is that all my friends were already here. For all your hospitality and the welcoming manner of your whole family left me feeling as if I always knew you! It has been such a wonderful time, one I am happy to say will not be forgotten. 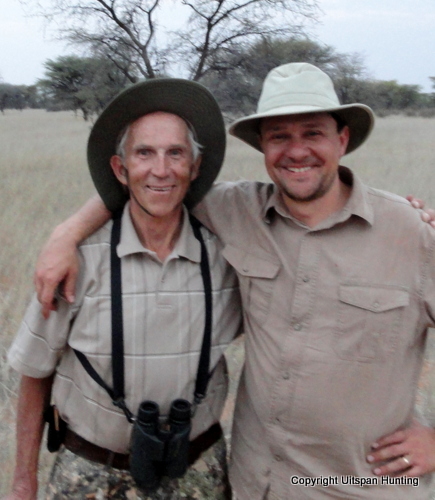 Thank you again for everything, the food, the laughs, the hunt and of course your welcoming, warm hearts. I will miss you all!" "Thank you so much for fulfilling our dreams and also for your patience in our shooting. Also I thought I would lose weight, but put some on due to Tienie and Isabellas beautiful cooking." 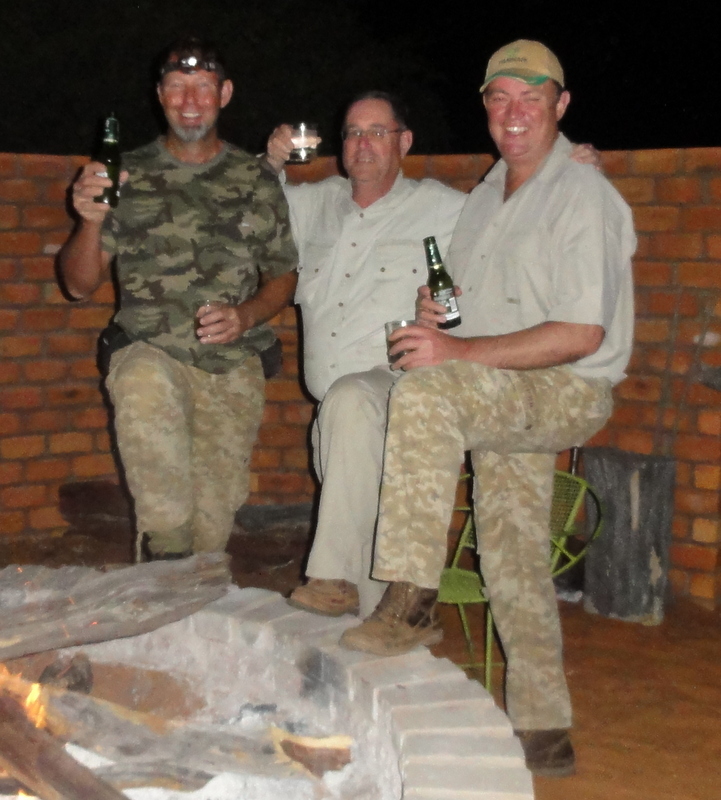 "I cannot thank you so much for your hospitality, wonderful food and superb hunting. 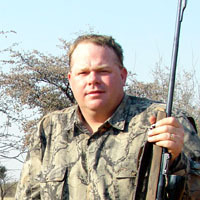 My most memorable hunting trip to day and will be very hard act to follow. A special thanks to Michael's parents for their wonderful hospitality. Thank you again Tienie. Your cooking is memorable. May God bless you all." "My first hunting in my life. A very good experience, a perfect family and a beautiful country. Thanks a lot for everything. Merci Beaucoup." "Words don't seem to be enough to thank you all for your kindness and hospitality. This trip for Rick and I started as a dream... sitting on our couch at home, watching television shows of other people hunting the Kalahari! Then Rick said..'Why not? '..We are in awe and amazed by the beauty surrounding us. the animals, the hunts the sunsets.. all more than we ever could imagine. I will remember the day of my Kudu hunt for the rest of my life. Perfect spot, perfect Kudu and perfect shot! Thank you Michael! But then to see my Rick get to hunt and shoot all the other animals touched my heart so much. "What can we say - we didn't know this operation from Adam. I watched them on the web for a couple of years before making contact. After that amount of time if they were bogus they would have been long gone. Based on some of the great things people were saying I decided to take the plunge and book a hunt with them. They were very easy to work with and always had the answers for the questions we had and we had lots of them. 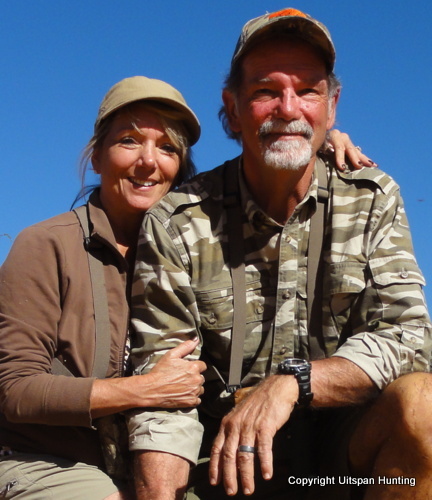 As this was our first hunt to Africa, Michael and Tienie offered some great advice -what to bring and what not bring and how to prepare. This much I can say for sure, our hunt would not have been what it was if not for Michael. His eyes should be insured with Lloyds of London. As far as we are concerned no one can make sense out of dents in the sand the way he can. His understanding of the way these animals function is amazing. I am not trying to take anything from Tienie - she runs a tight operation. Her meals are to die for and if you show a genuine interest in local cuisine they will share delicacies beyond your imagination. This was going to be a once in a life time hunting trip - by day two we knew otherwise. We will be back and can't wait for the day. 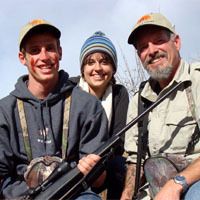 Their whole family is what makes this such an efficient and successful hunting camp. 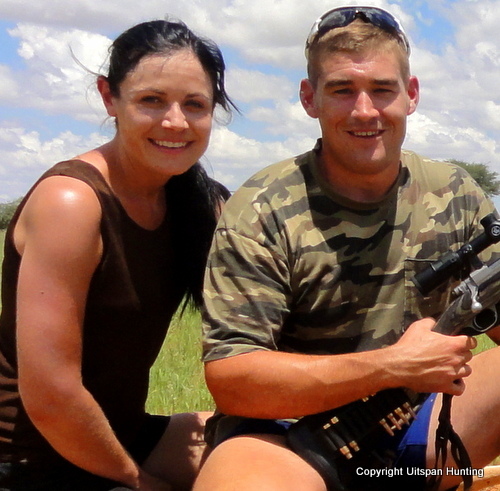 We'd be happy to share with anyone our experiences hunting with Uitspan Hunting, just contact Michael and Tienie for our contact information." "I cannot thank you all enough for welcoming us into your home and family. I am so grateful for this life-changing experience. You have an amazing family and beautiful farm. Everyday brought something new and something more to be thankful for. God bless and many thanks!" 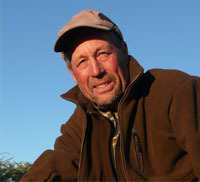 "I was given the responsibility to organize a trip to Southern Africa for my friends from Russia...After lots of research I chose Michael for his possitivity, simplicity and feelings from our discussion on internet and on the phone.The results were fantastic, much beyond our expectations, wishes and dreams. First of all the hunting was very serious with good selection of animals and trophies! Very professional. But most important the people we met, the family that welcomed us and showed a completely new world. 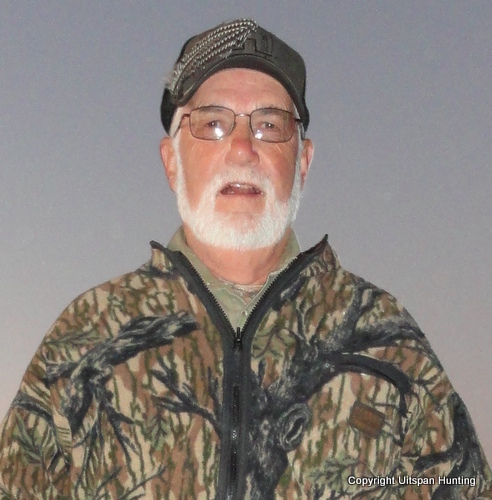 A real hunting experience and a human experience. We will be back!" "Thanks to all for an amazing week in Namibia. Thanks to Michael and David for hunting, thanks to Tienie for cleaning and cooking, and to Jan-Hendrik for taxi-driving and to Isabel for smiles!" "Thank you for fulfilling the dreams of an old man. 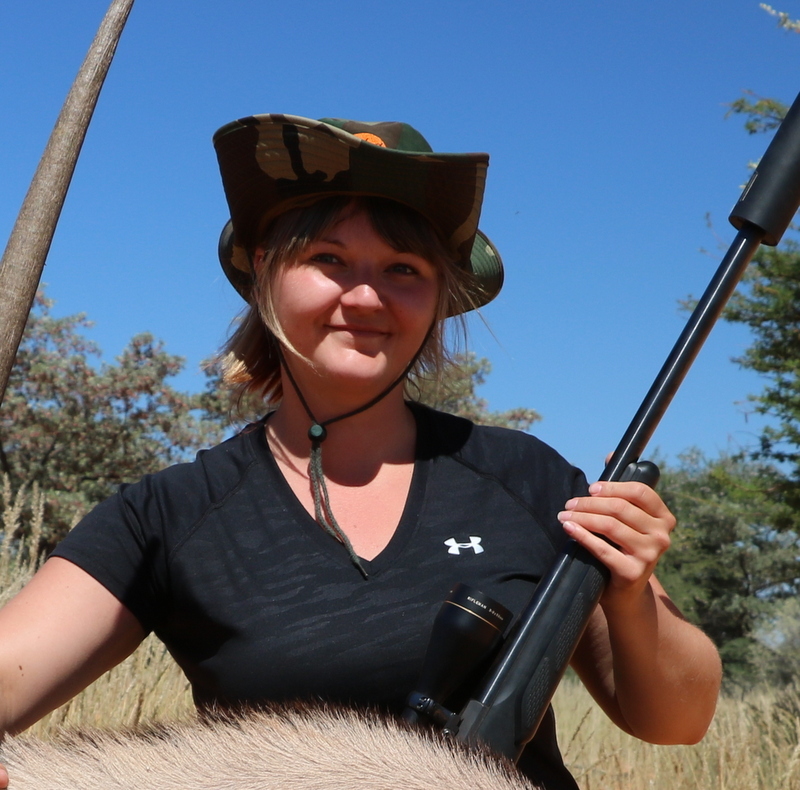 The hunting, the number and quality of animals, the guiding, the side trip, were all outstanding. I will look at the trophies every day and relive the whole experience again and again. Tour accommodations and food were also excellent. If (when) you visit the US, please know you have friends in Wisconsin!" "Thank you for a trip full of memories to last us a lifetime. 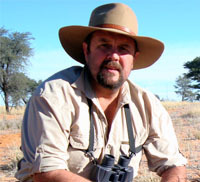 Thank you for sharing your amazing Kalahari, the beauty of God's creation and your vast knowledge of it. Thank you for sharing the hospitality of your home, your sweet children.Your fellowship and Christ-like spirits made the trip even more memorable and enjoyable. God bless you all." "Thank you for the wonderful vacation. 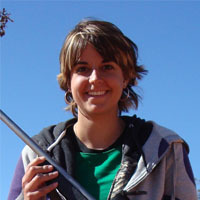 I got the trophies of my dreams and visited a vast and beautiful national park at the Kgalagadi... I was accepted as part of your family for the time I was here and enjoyed the antics of the young children, the wisdom of Maria and the graciousness of Michael, Tienie, Isabel and Hendrik. The food and lodging was exceptional. 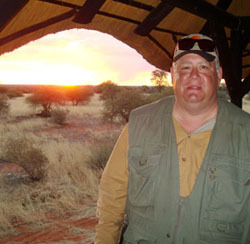 I would like to return again to my 'family' in the Kalahari." "Thank you for an exceptional week. Good friends, good food and good hunting. Best week of hunting that I have had in over 50 years of hunting - will cherish this week for the rest of my life. Great time with my son." 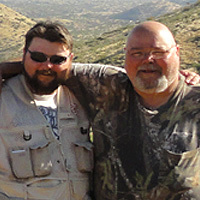 "Most wonderful hunting experience I have ever had and the hospitality and family atmosphere second to none." "I have never seen my husband so happy!" "Thank you for showing us an amazing time in Africa! I had so much fun and will never forget your friendliness and hospitality. Hopefulle we will be back! THANKS!" "This was my 4th trip to Africa and I must say, the most enjoyable. Maybe I'll get adopted and get to stay. You're not just a client, you are a friend. I have full hope of returning soon. Best regards, good hunting and blessed days!" "Thank you Michael and Tienie for an unforgetable week with you and your wonderful family. I have waited and planned for this trip for many years and it has certainly meet my expectations. You have a beautiful country, property and hunting lodge. And I am very happy we choose to spend our time with you. 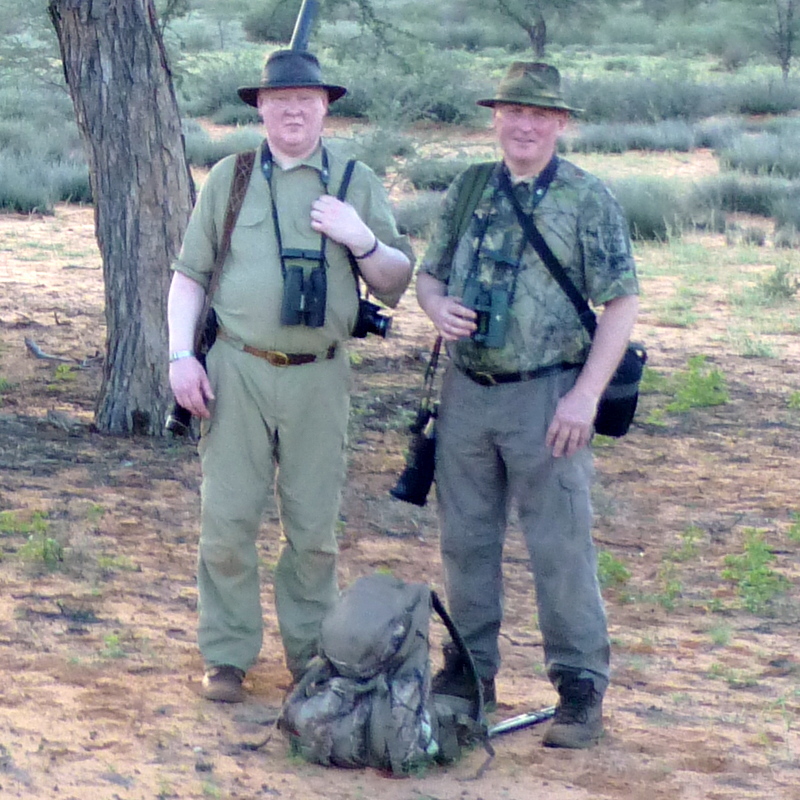 The hunting was excellent and I enjoyed crawling on my hands and knees through the Kalahari - although I am sure there are easier ways of seeing the red sand up close!" 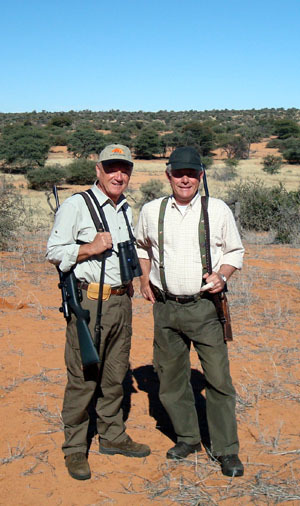 "These were very memorable days hunting in the Kalahari. Nice hospitality and very friendly people made me to get the decision for the next year trip to this place. Thanks a lot for the beautiful time." "I can't thank you enough for the wonderful trip we all experienced. You and your family were and absolute joy to meet and spent time with. Your love for each other and for your life and land were truly inspirational. You, your ranch and the animals will be forever remembered with extreme fondness and respect as long as I live." "Na 10 dagen zit de vakantie er voor ons helaas op. Het waren bijzonder mooie dagen, het jagen en de omgeving was prachtig. We willen jullie en je ouders bedanken voor het verblijf op het Uitspan en tevens voor de goede verzorging. Hopelijk tot een andere keer." 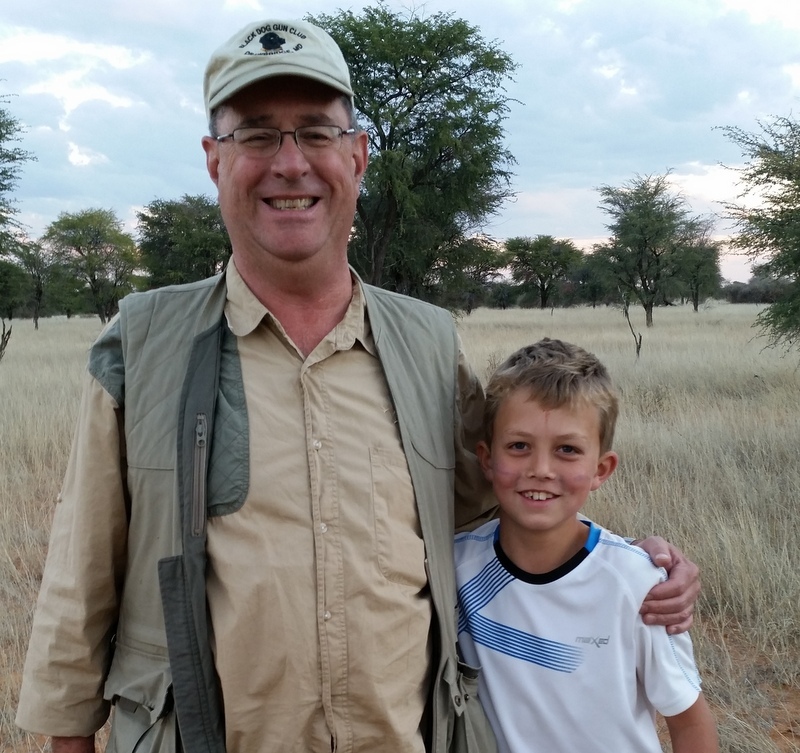 "Many thanks for my first African safari. It has been a lifelong dream to come here. To have such an amazing trip with excellant hosts who made us feel at home, made the whole experience that much better. I hope to one day return and enjoy your hospitality again, this time with my sone and possibly the rest of my family." "For all your efforts and hospitality thank you so much. The trip was beyond anything I could have hoped for!" 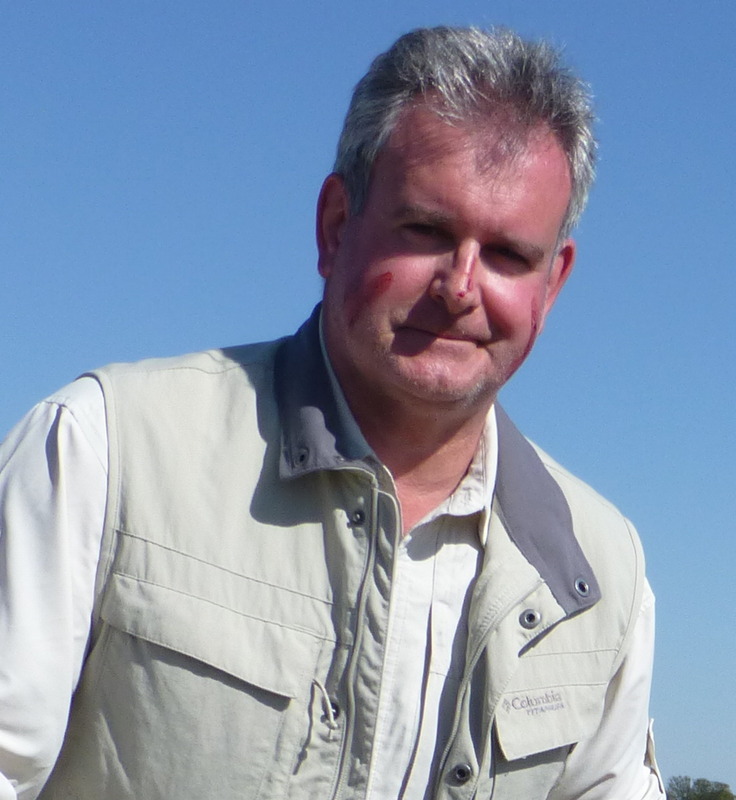 "I travelled 10 000 miles and I felt immediately at home with my new friends in Namibia. This has been the greatest adventure of my life (other than being a husband and father). Next time I come I will bring my family so they can experience the beauty of Africa and the warm hospitality of its people. Thank you for making my stay so memorable. The food was excellant - especially the Springbok steaks!" "The reasons that we leave the comforts of our homes and the family that we love is to search the world for trophies. Trophies that will serve as memories long after the sand is out of our shoes. I have taken a trophy home that I never hunted, but rather it found me. Thank you for your hospitality. God bless."